From Wednesday to Sunday there were lots of stuff happened. 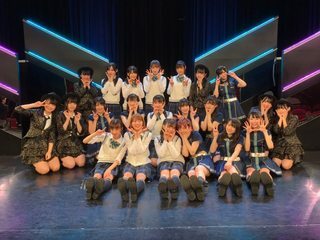 Wed (3/20) Team 4 stage. Before it, she had a shoot involving her wearing Jiwaru DAYS costume. 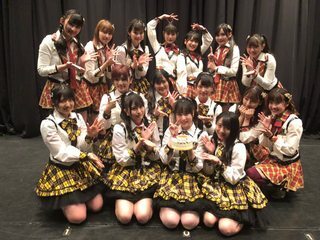 Fri (3/22) STU48 performance @ AKB48 theater (also Miyumiyu seitansai). 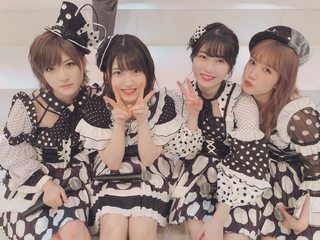 Other than that, AKB48 Beat game just released a teaser for another exclusive song and this time Naachan is the center . The song will be available in the game starting from March 29th 15:00JST. Probably some video extra from Setobingo disc which will be out also on March 29th. This Monday will be best singer live. Not sure if she will do other work before but I assume she won't. 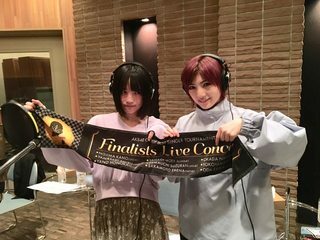 There is probably a Jiwaru DAYS performance recording on Monday but probably have to skip it. 3/27 will be the joint performance. 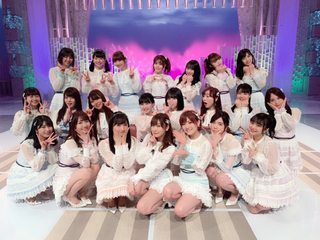 AKB is also going to perform on 3/29 MSte. 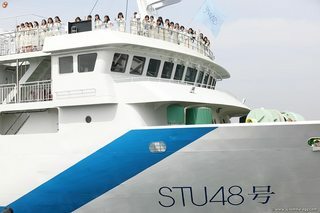 3/31 will be STU48 2nd anniversary. 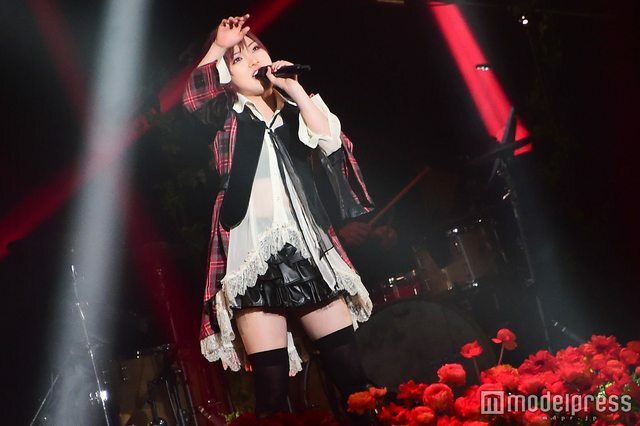 It will be back and forth for Naachan this week if she is performing on MSte. 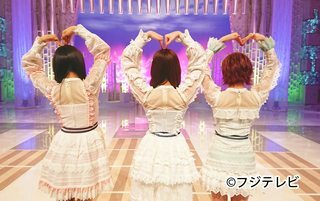 The weekly CDTV (on Saturday midnight) is prerecorded. Last week on Thursday was CDTV special, which is a live show. 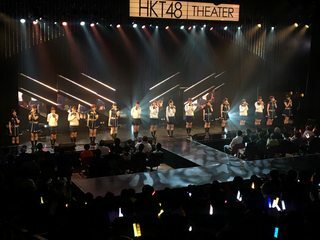 Since AKB performed last, there was no member under 18. 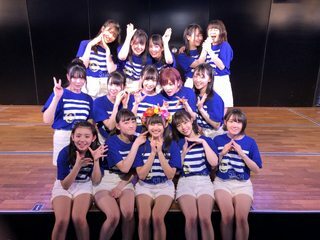 Also the audience for AKB performance were HKT, AKB, and STU member (3 groups where Sasshi was/is a member). Wait a minute, did she dye her hair pink?? 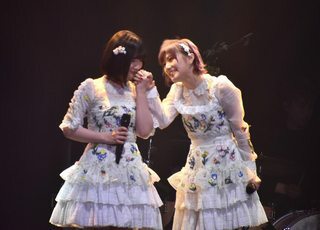 That is for non AKB song. 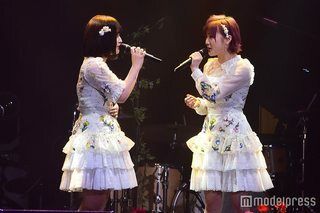 She also did a duet with Yano Honoka singing Kurayami and the rest were sang with all the finalist (Kimi wa Melody, etc). 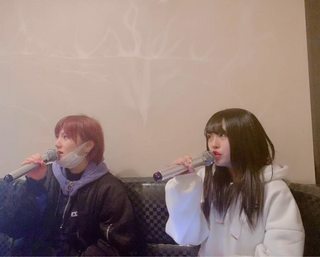 Apparently they Naachan was supposedly sang together with Honotan during the first part but just before the production Naachan said to let Honotan do it solo. 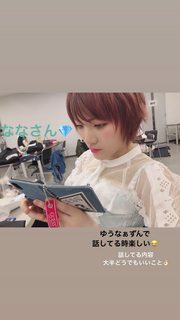 During the practice Naachan almost made no mistake and only need some correction which she immediately did. Basically the producer was impressed on how she came really prepared considering the fact that she is relatively busy (definitely busier than the rest). Tue (03/26) She is probably just preparing for tomorrow's trip to Fukuoka. 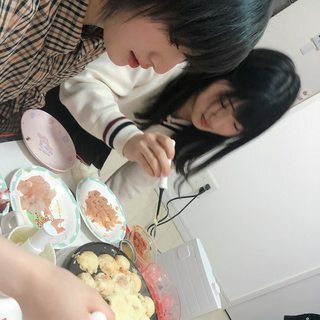 When she went to eat with Yuiri, they accidentally met Komi, Yuami, Kanabun, Orin, Ayamin & NaaNa. 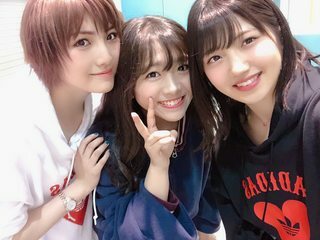 Thu (03/28) She watched Mogi's play "Curtain Call" (there were also other members). I think that was pretty much it. 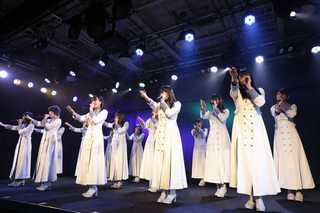 Also released today (in game) is an exclusive AKB beat song, Koibito Inai Senshuken, which Naachan is the center. 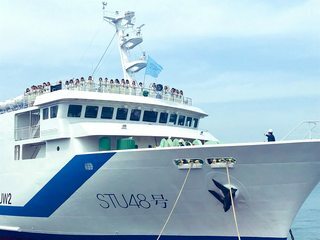 Sat (03/30) back at Hiroshima for STU48 2nd anniversary on the next day. Mainly practicing for tomorrow. 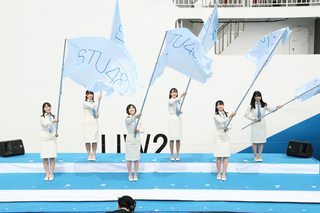 Please tweet with #STU2周年 to congratulate STU48 on their 2nd anniversary. 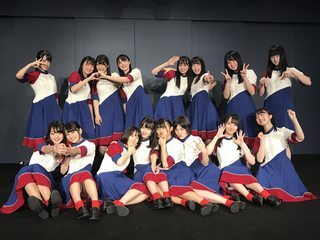 Also the lineup for National HS in Fukuoka (04/13) and Sendai (04/14) are out. 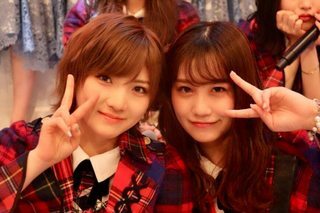 Naachan will be on the 2nd lane with Kojimako for Fukuoka HS (last NaaMako lane) and 3rd lane solo for Sendai. Also look forward to next episode of Nemousu! Man, with how often she dies her hair, I just hope that she won’t get bold when she turns over 30 yo. 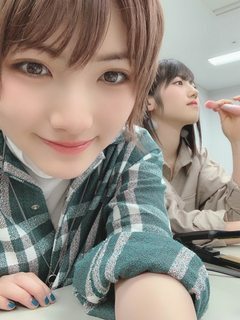 Naachan is so at ease with the STU48 girls, there's a great chemistry there. What if they switch her roles, making her a STU member with a Team 4 concurrency ? I think some people also thinking about the same thing. The biggest problem is that she loves AKB too much. Also looking at how STU currently is, she doesn't really block anyone. 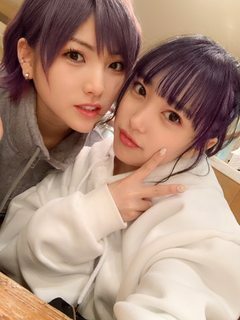 If she does move to STU then it would be a bit complicated since suddenly you need to integrate Naachan into STU management pushed member. 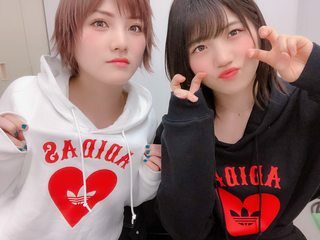 If you left the situation as it is, then Naachan will basically get nothing by moving to STU, only losing her AKB push and people might see AKB more negatively which I'm sure it is something that they don't want considering what happens right now with NGT. 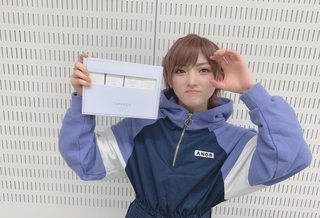 Basically it is a no win for AKB, no win for Naachan (this depends on how much STU management willing to push her tho, whether it will mainly be pushes in Setouchi area or kanto/national) and a win for STU. Of course it can always just be a status only and everything will be run as currently is which then begs the question, why switch the status if everything is going to be the same? 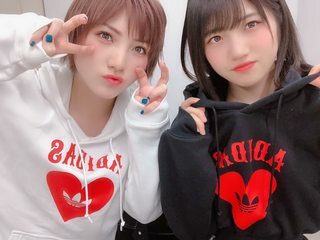 Maybe if Naachan is with outside agency (thus not AKS) it could work better for her. Since she is still with AKS, I can't really see any benefit for her. 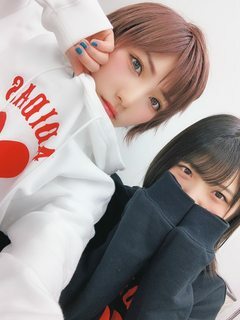 I think the best thing for Naachan is to keep the status quo for now and try to find an agency since obviously AKS doesn't really give her anything right now other than 48G work. After having an agency then I think a transfer to STU is okay-ish. 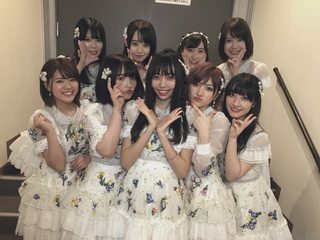 Currently her AKB job is mostly about performing as an AKB member. 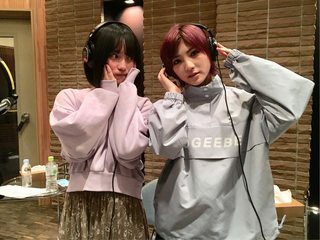 Compare that with Yuiyui or even Moeka where both of them (will) have a regular media appearance. 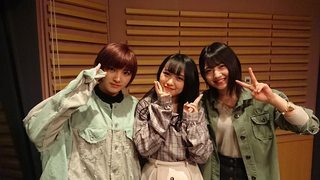 Management basically try to put them into every AKBINGO episode vs Naachan that was only in a single AKBINGO recording (which does span to multiple episode, but still a single recording day. 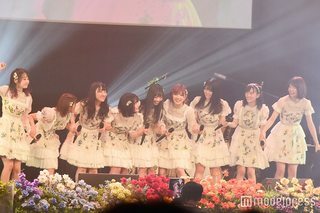 also it was probably because they need to put her, otherwise it would be strange not having her while having other SG members). 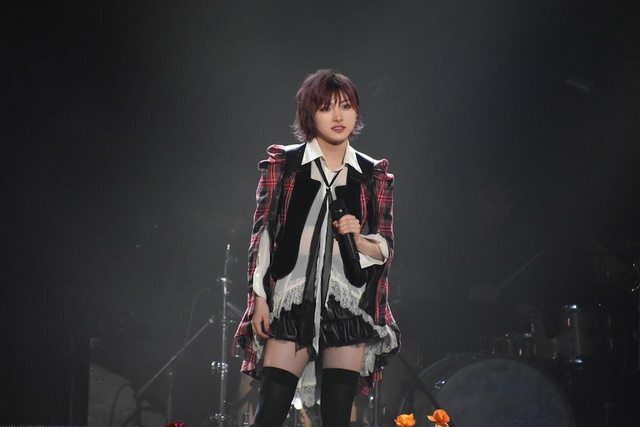 Yuiyui as a part of Team 8 kanto also appeared regularly in Bacchikoi. She also has that exclusive model gig and some regular Also regular on DHC show. 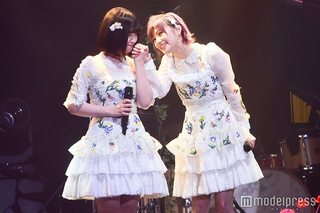 The last 2 expose Yuiyui to a different audience. 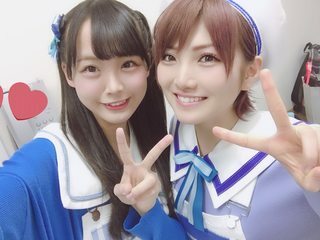 Moeka joins the MC for Miramon. 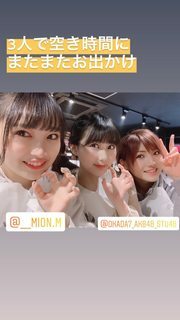 If we throw Miion in it, Miion suddenly being pushed hard again simply because she is the GM (like now you see her more at the front row on music program). 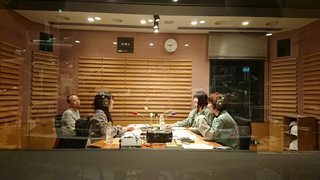 Miion also has her regular radio program. She is also constantly appearing on AKBINGO. 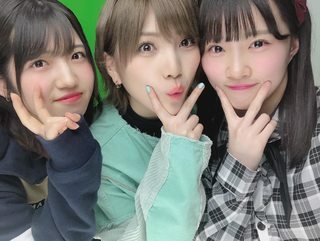 I feel that even when Miion result wasn't as great as she used to be, they still push her more than Naachan and you bet with Miion being the GM that will be an excuse for management to push her even more. 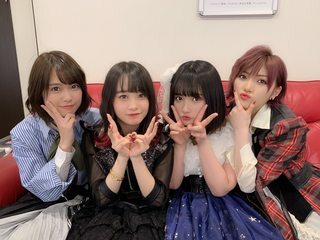 The annoying thing is that when you see the people that they try to incorporate in AKBINGO, you see someone like Miion or Yuiyui or even Yuihan managed to appear more often than Naachan. 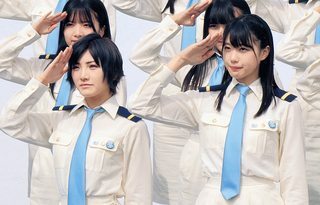 We are talking about Yuihan here where she should be busy, she has regular shows too, but still they were able to schedule her for AKBINGO recording. 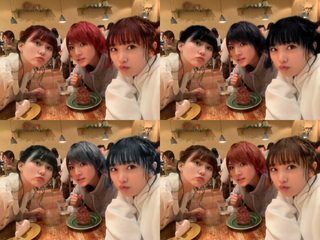 Anyway, I don't mind that they pushed those members that I mention, but it would be nice if management also give Naachan a similar thing because I think she deserve it. 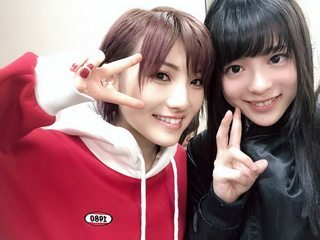 Honestly, I think with SSK not being held this year is actually a minus for Naachan because I think no.1 is possible or at minimum it will cement her position as the top AKB member (I think at the very least Naachan will have a lot more votes this year, thus have a much bigger gap over the next AKB member). 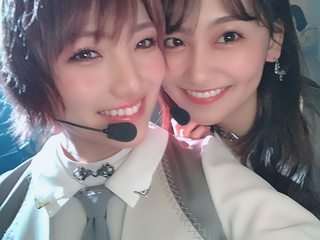 SSK have been kind to her career as the combination of her SSK rank + HS result is possibly the biggest factor for management to recognize her as a front member. 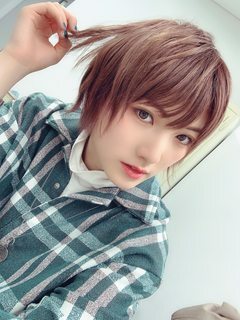 Without it I feel that management only want to use Naachan as a support member. 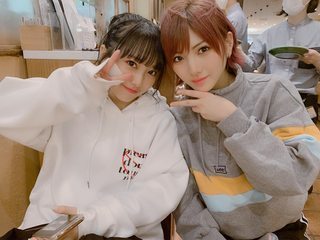 Even now I think management still want to position Naachan as a support member and the thing that prevented them going all the way making Naachan into a support member only (so not ace) is her result. 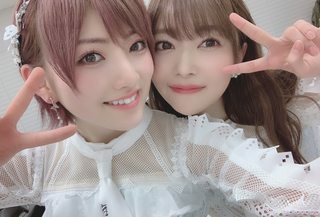 Oh, and one last thing, I think management currently treated her as a senior member that is there to support the younger member, which is totally fine with me if she actually has an agency. Right now her agency is AKS so she needs AKS support to get jobs. She is not like Yukirin where she does get non AKB jobs. 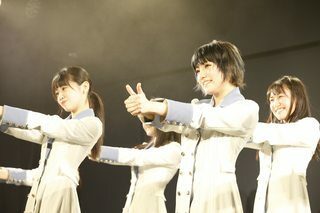 Yuihan and Miion also get jobs from their agency so they should be fine with AKS trying hard to get them jobs. 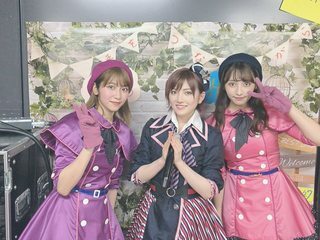 But what I think actually happening right now is that those agency probably influence AKS to keep making them get the good jobs and position in AKB. Like I've said before, they should be busy but somehow the can conveniently scheduled into AKBINGO recording. 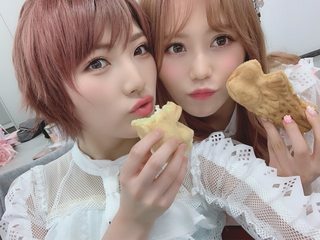 Of course one of the most obvious example of an agency influencing AKS decision is Ogiyuka and Rika inclusion in 48G senbatsu despite what happen with NGT. 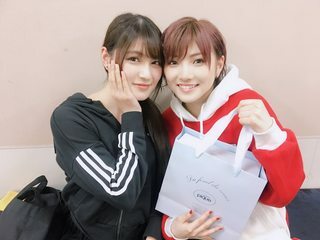 This doesn't mean that I hate those that have an agency, but just an illustration on how much Naachan at a disadvantage vs those that have an agency. Having said that, not all member that belongs in an agency get that kind of push since even an agency have someone that they want to push more than the others and they also have finite resources. 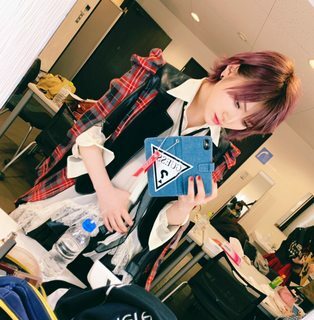 I still have a little bit of good faith for AKS that they will push Naachan with something else. Probably not a regular media appearance but something like a solocon or a solo single/album. 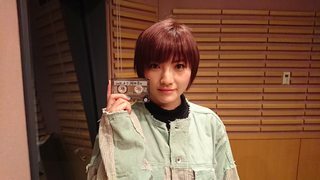 Remember that Naachan has that code from her solocon disc that we still can't use. 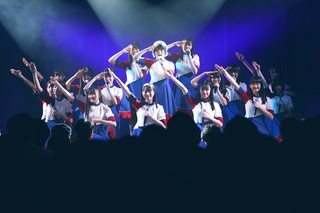 Sun (03/31) is STU48 2nd anniversary concert. 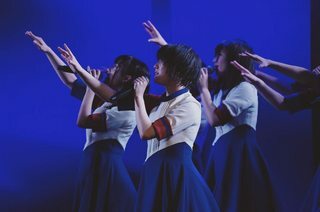 It was a really nice concert Also they announced that STU48 first boat theater performance is on 04/16! The stage title is "GO!GO! liitle SEABIRDS!!" I hope (and believe) that she will be part of shonichi member for this stage. 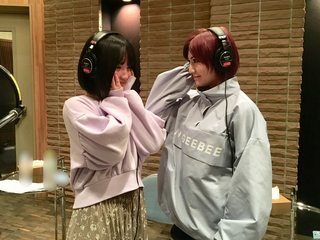 Mon (4/1) I believe they were recording JiwaruDAYS for Music Fair. 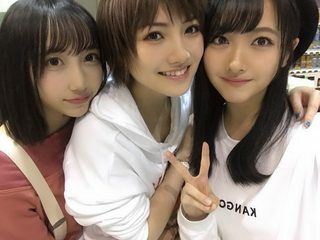 During the free time, she went for a meal with Mikurin and Miion again. 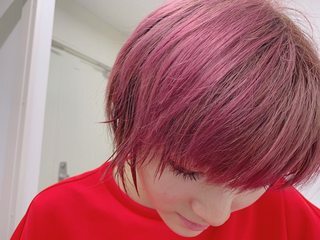 Apparently Naachan (or at least Naachan + Miion) paid for it. First they ate steak then go to another place for dessert. 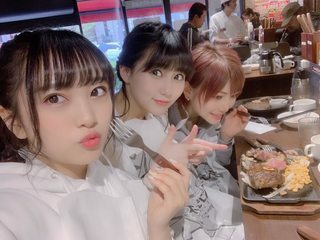 At the steak place, Naachan went to the register and paid for it. 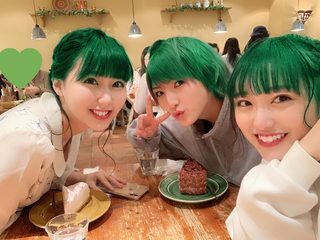 On the cafe (where they get their desserts) Mikurin said that she will pay for it herself. Then on the next post she said that the seniors also paid for it. Other than that, the news is about the new era will be called Reiwa (replacing Heisei) and probably will start next month. 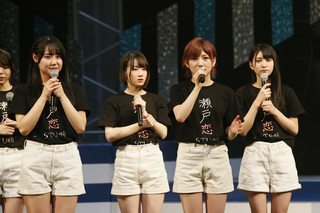 Also Miion first day as GM and Fuu hiatus announcement. Saturday and Sunday will be Jiwaru DAYS HS events. 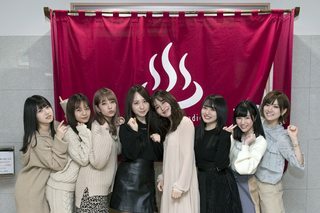 There are video clips and news stories about the STU 2nd anniversary show, including an interview, posted in the STU 2nd anniversary thread (duh). "Ace candidate of AKB 48, Nana Okada (21), has begun to make its own route. 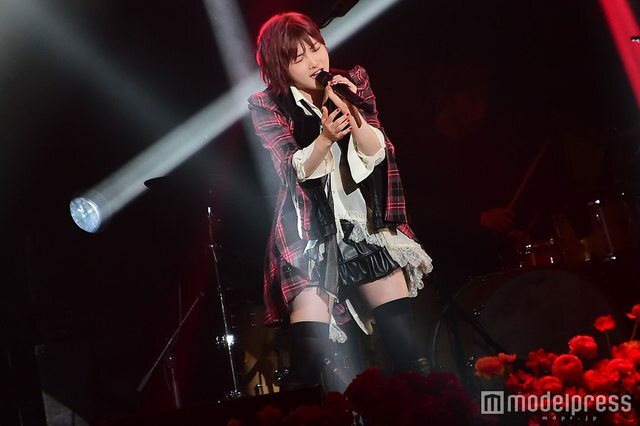 Last January, she held her first solo concert, making the most of her singing ability. In June, he became the fifth highest in the general election and took into consideration the top of the group. However, the current frank thought "does not aim at the center." I heard that complex heart.
" -----"Going for the center" Did you do? "The way of thinking has changed. 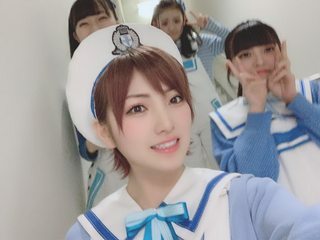 It's more important to know how much I can transmit for the group than whether I am in the middle of the group or not"
-Are you on the way to the de-idol now? "Yes. 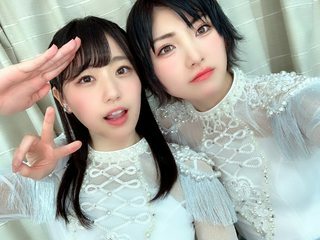 I cut my hair too short, and I became idol-free and I was a little scared at first, and there were fans who were puzzled, but every time I got a cute junior with black hair, I still I think I'm going to go here. 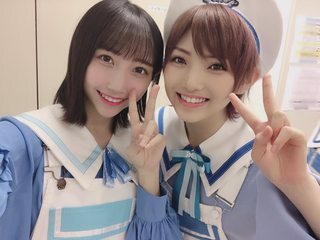 In order to stand out among the cute children, it is better to be weird (laughs) "
One of the interesting point from that article is that she is not fond of frilly costume (which is typical for idols) and for good or bad she feels that she is not an idol. 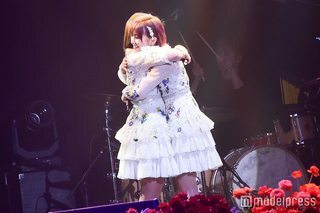 Right now she prefers to do solo concert and hoping that people that like her concert can become an AKB fans. 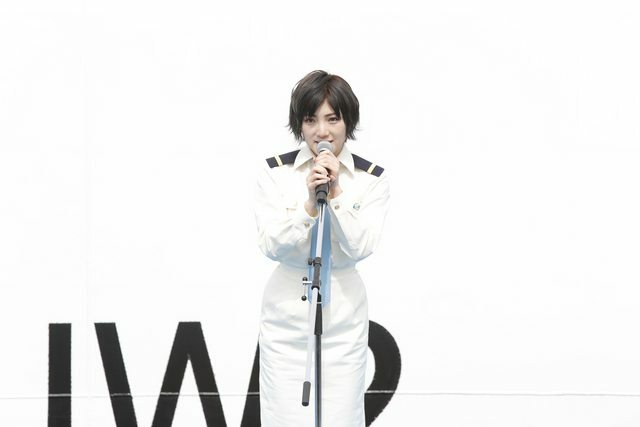 She wanted to be an entrance to AKB with her singing. Btw, that interview with Sponichi is also published in their paper version (they have "Sunday AKB" section). Anyway, she came from wanting to center another song -> want to center a song when the song fits -> doesn't aim for center anymore. Hopefully this is because management actually have a plan to push her as a solo artist instead of management saying that they want to focus on the younger girls thus she felt the need to focus on other things. 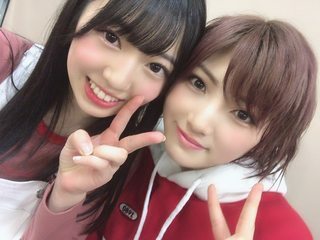 Having said that, Miion still saying that even after her soukantoku role she still want center. 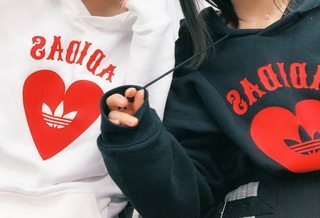 Of course as a Naachan fan, I want her to get everything. 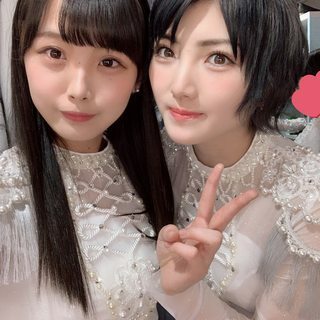 Like Sayanee and Jurina, I want her to get a lot of A-side center and at the same time management finding her a solo job. 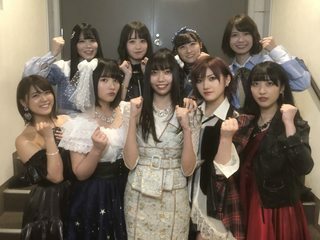 But looking at the history, it would be hard for her to get that in AKB since most AKB members actually centered very few A-side. 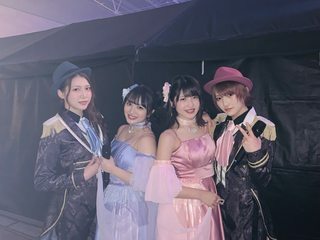 Only Aachan got similar treatment to SG aces (center a lot of a-side, plenty solo jobs). 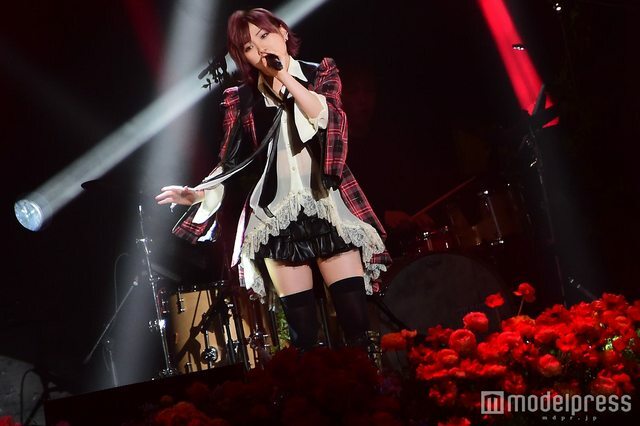 Even Mayuyu didn't center a lot of A-side. I do hope that if management doesn't want to give her another A-side center, at least she will get to center a B-side. It would be nice if she can actually get another solocon, but the other part is a lot more difficult if management is not really serious about pushing her into a solo artist. 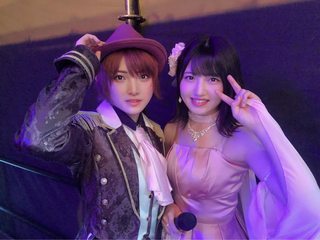 If she wants to be an entrance to AKB that means she needs enough power, enough general public appeal and recognition, to pull that of. She still need to be pushed to be more visible. 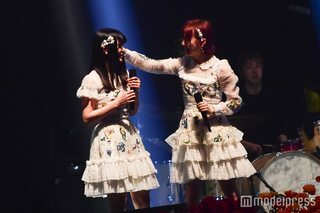 Just giving her a solocon is not going to make an entrance to AKB. She definitely needs more consistent and continuous exposure to the general public which unfortunately management is not doing a good job at it. 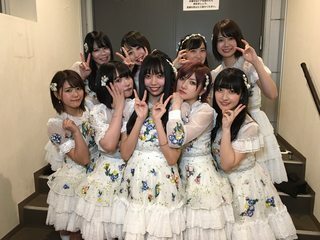 If we are talking about young(-ish) member, the ones that currently being exposed more to non AKB fans are Miion and Yuiyui. there is a bit of overlap on what they touch in her and that interview. Anyway, as the title suggest, they will leave a time capsule for the 10 years later themselves. 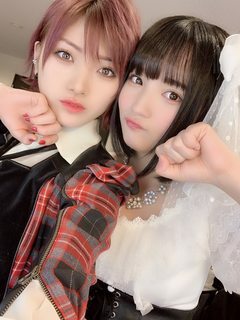 Naachan basically said to not worry, never too late to start anything, be happy, and cherish mama. Also she is probably will not be in AKB 10 years later. She already think about when she will graduate but she won't tell right now. She did say that she still want to get no.1 at SSK. 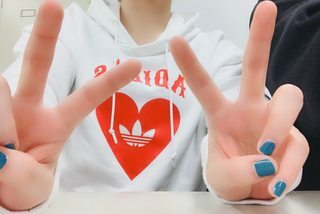 Fri (4/5) She is back in Japan. 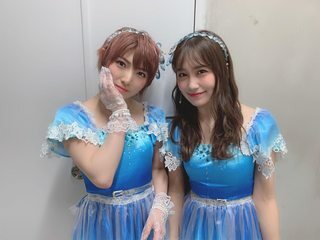 I think she had an STU job before leaving to Fukuoka (for HS) since she posted a picture wearing one of STU costume (the ones that they used for record award which Miyumiyu and Honotan used for singing contest). 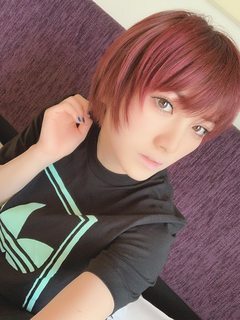 She also cut her hair. She won't say what she was doing for the past 2 days, just said to wait for it. 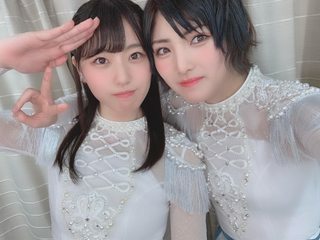 Yuiri did say that half of their trip was for work (asked during HS). My prediction is that it is for YuuNaa PB and they probably will announce it during the YuuNaa stage at AKB fes. Mon (4/8) I believe she was going home (from individual HS event in Fukuoka) and then go to Hiroshima. Of course the question is why? why not just go from Fukuoka to Hiroshima. If you know about Japanese geography, it would make much sense to go from Fukuoka to Hiroshima instead of Fukuoka - Kanto (Tokyo, Kanagawa) - Hiroshima. I think maybe because she needed to prepare for a long stay in Hiroshima. 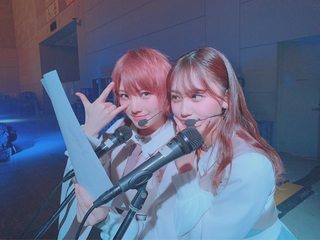 Tue (4/9) ~ Fri (4/12) Practicing for STU48 first stage "GO!GO! Little SEABIRDS!" Also she is confirmed for shonichi... and only shonichi. After that, I believe she go from Hiroshima to Fukuoka for AKB National HS. *She come home first (thus Kanto) then go to Fukuoka. Today, Sat 4/13, is national HS in Fukuoka and Sun 4/14 is national HS in Sendai. Fukuoka is South of Japan and Sendai is a little bit North.... 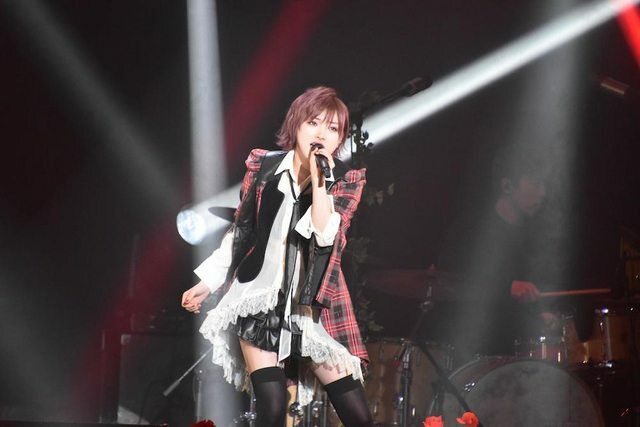 So there will be a bit of traveling for Naachan this weekend and remember that the stage is on 4/16 in Hiroshima. 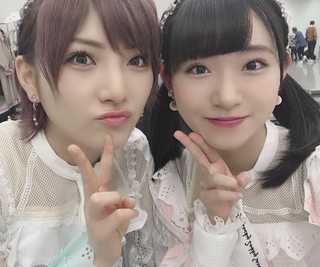 For reminder, today will be NaaMako lane and tomorrow Naachan solo lane. 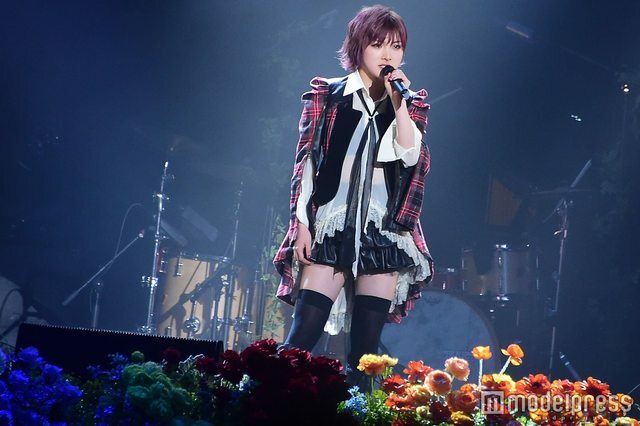 As I've mentioned before, she will only perform for shonichi. That means she might be busy with something else after that. 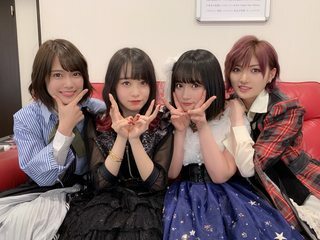 There is a Team 4 stage on 4/17 but she wasn't selected for it (which is understandable), but the next scheduled performance is for AKB spring Fes on 4/27 and probably will also perform in Sasshi's gradcon on the next day (4/28). 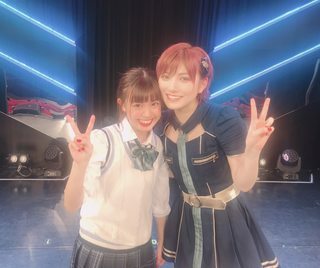 Of course she is one of the person that will be busy on AKB spring fes since she will perform in 4 stages (YuuNaa, Team 4, STU48, AKB48), but I don't think she needs that much time to practice it. 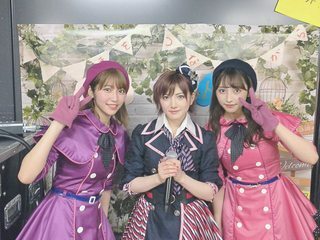 Having said that, the total stage time for all 4 is 2hr15min (15min for each YuuNaa and Team 4, 30min for STU48 and 1hr15min for AKB48+Kojimako grad ceremony). The work was on Cebu Island - Philippines. 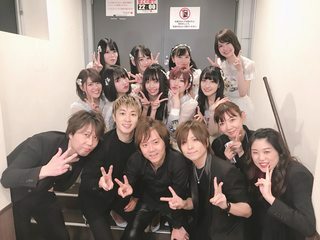 Sakkii and Noza are with them. Not sure whether they are involved in the actual work... Noza at least can help them to communicate. 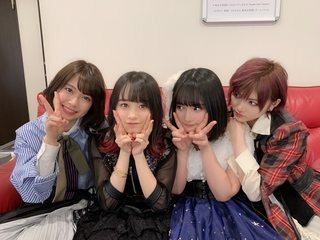 Sakkii as stalking them as a YuuNaa fan Anyway, these 4 are close friend. The work is Instagram related. Again, not sure what it is about. The only thing that I can think of is for tourism purposes (promoting Cebu?). 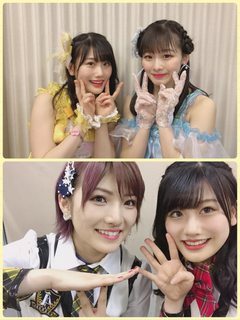 Naachan unit song for Fukuoka HS is Return Match (MogiOn and YuuNaa). 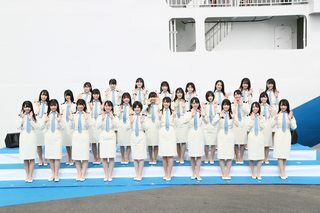 Sendai HS is Temodemo no Namida with Kojimako. 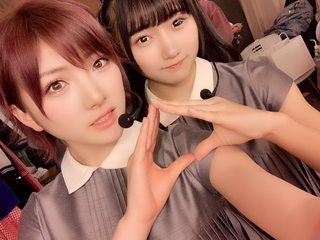 This one should be more about Yuiri but still plenty enough Naachan in it. 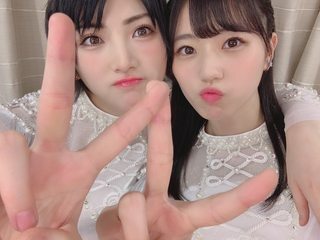 For YuuNaa, they are basically together since KKS (promoted at the same time and always on Team 4). 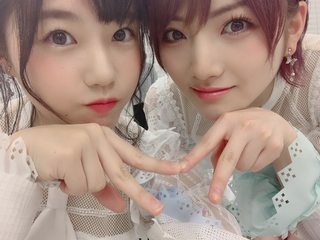 While Naachan and Miion basically becomes close because they have the same/similar concern about stuff. What is it? can't tell XD (really, they say can't tell). This is the day! 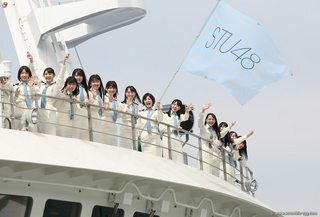 later at 17:00 JST will be STU48 first boat theater performance. Go!Go! little SEABIRDS!! It will be streamed live on dTV. 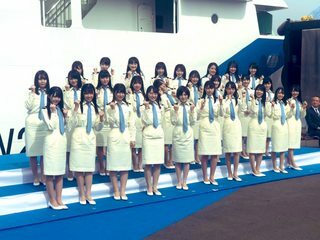 Also they will do a showroom which will show parts of ship commissioning (ceremony of placing ship in active service) starting at 13:30 JST on STU48 official showroom. If you have time don't forget to watch it! Anyway, On Monday morning she already on Shinkansen going to Hiroshima. I believe STU had their 1st practice on the boat this Monday. okadananafans also translated her speech which conveniently fits into twitter's 2:20 video length limitation. Overall, it was a different stage vs your typical 48G stage. There is definitely a stage play touch in it probably because of the stage producer background. 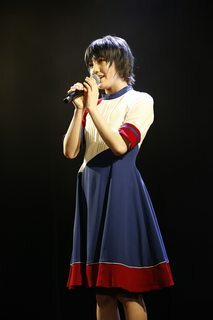 Naachan has a good role in it, mainly in act 2 (unit performances). Too bad that all that training so far is only for one performance. The good thing is that since they streamed the shonichi performance, you probably can watch it somewhere. Right now they don't have a plan to stream the stage, so we only get to see the shonichi. Hopefully that will change in the future. As for what she did on Wednesday (4/17), I'm not really sure. She only posted about individual members on her mail (she posted 10 mails btw) and all of that post arrived before noon. 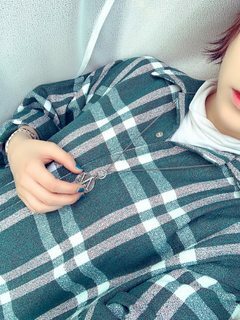 After that she updated her 755 and insta around midnight.